Looking for that perfect gift or maybe just want to get your little girls excited about crochet! Nothing is more fun that being able to create your own doll fashion. 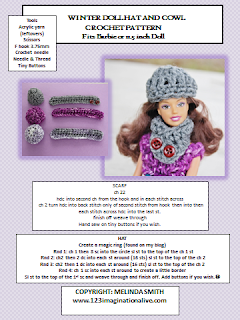 This FREE CROCHET pattern will guide you through each step as you create a Hat & Cowl set that will fit Barbie or 11.5 inch doll. 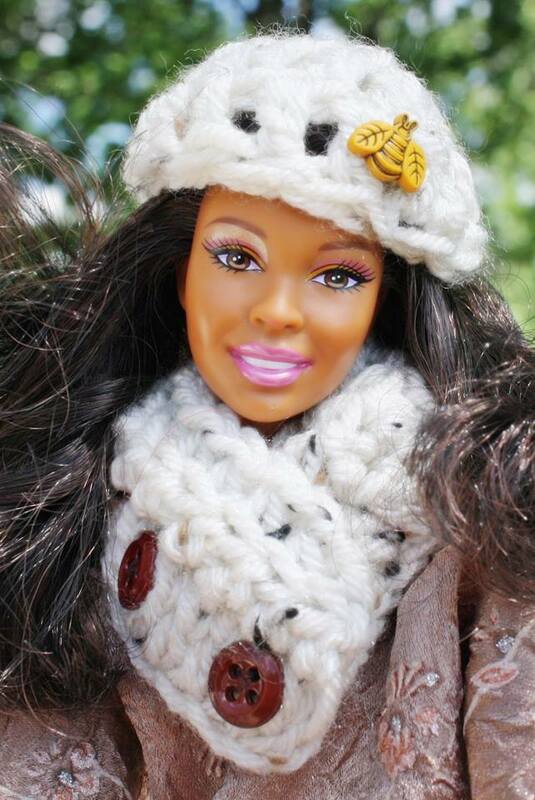 You doll will be warm and cozy with the winter set. The stocking hat will fit over even the fluffiest doll hair. It is crocheted in a beautiful design. The coordinating winter cowl will keep her neck warm and toasty. Create the hat and cowl in all kinds of colors. This is an example of the pattern you will receive once you download the PDF file. You will be able to download your copy at the bottom of this page. You can watch the VIDEO of this pattern here on my YOU TUBE CHANNEL. I show three different color themes in this pattern. You can choose to add tiny buttons with needle and thread. Not a fan of written patterns, no problem check out the VIDEO for THIS pattern HERE! I used chocolate thread to sew on the buttons to the cowl in the following photo. You will lay your cowl down like the ones here and sew the button to the two spots where the brown ones are laying. Once these buttons are sewn to the cowl they are FULLY functional. So remember to sew them on tight and secure. This will allow for hours of play without one of them popping off! Try mixing up your colors, you could do a Christmas theme, or maybe your child's favorite colors. They make great gifts, tuck them into stocking and much more! Use your imagination and make different colors and button accents! If you don't want to miss another FREE PATTERN simply FOLLOW me at the the top of the blog! So now you have all the information you need to create your own set! 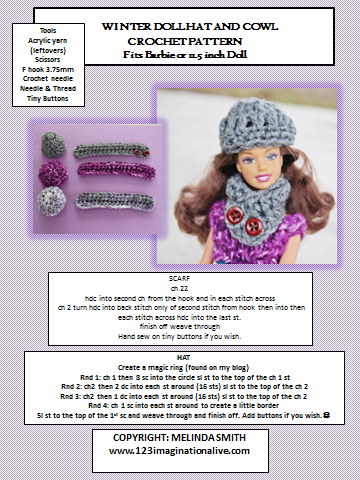 DOWNLOAD YOUR PDF PATTERN HERE! You will find tons of free crochet patterns under CROCHET at the top of my blog! You can subscribe to my YOU TUBE channel HERE and stay connected to all my video tutorials!